What Reporting Services Do You Offer? Asset Auditing and Reports for Data Destruction – We will perform a rigorous software data wiping procedure. Our specialized software will track and record the data destruction process which we will use to create a detailed report for our clients. You will receive a digital data destruction certificate once the process has been completed. If we destroy physical data through shredding or degaussing we provide each client with a video recording of their equipment actually being destroyed. These video recordings reveal each hard drive or storage device being physically destroyed so the client knows the equipment is 100 percent unusable. Each of our digital certifications of data destruction are supported by legal written documents which are 100 percent auditable. Disposal Management and Asset Reporting – When we destroy data we do so in a manner that ensures it is completely destroyed to reduce corporate risks. Once this process is complete, assets can be destroyed, recycled or reused prudently. IT Recycles will work with organizations to provide certification that reflects that all issues are properly managed and carefully documented and reported. We can provide guidance on ideal practices as well as ensure organization compliance for all of our clients. Throughout the recycling and data destruction process we will apply an extensive auditing and reporting process to ensure you have all the information you need. IT Recycles is here to ensure your data is properly destroyed. We are so confident in our process that we will provide you with proof that your data is destroyed and your old machines can be reused or disposed of without worry. These vital bits of information must be protected. 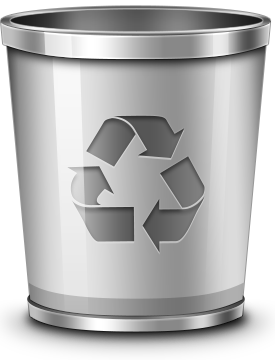 When you choose IT Recycles you can rest assured that it will be with our certified data destruction process.